"Superb experience, wonderfully interactive and fascinating." Here you will find a wide range of different tickets for London! There are guided sightseeing tours and attractions such as Madame Tussauds, the London Eye and Harry Potter Warner Bros. Studio Tour to sparkling musicals in the West End and tickets for soccer! E-tickets into your inbox! Tickets to musicals and shows in the West End, to tourist attractions and sightseeing, museums, transportation and soccer! Book your London tickets online at Ticmate! Travel to London City from Gatwick Airport with the Gatwick Express! Save time with prebooked tickets and jump directly on the train. The journey is only approx. 35 minutes. Buy your Heathrow Express tickets from Heathrow Airport to Paddington Station in London before you leave home. Your tickets will be sent directly to your email, so you can jump straight on the train and save time! Tower of London is one of those attractions you have to visit at least once! Save time by booking your tickets to the Tower of London from home and skip the line at the box office. Don't miss this central piece of London history. Want to get into London from Stansted Airport fast and easy? Prebook your train ticket for the Stansted Express and jump straight on the train between the airport and Liverpool Street Station! Travel time is just 45 minutes. Experience the amazing view over London from the London Eye! When you book your tickets from home, you also save up to 20% on the price compared to buying at the entrance. With your London Eye Flexi Ticket you are completely free to plan your visit as it suits you while you’re in London. Try one of the most popular sightseeing tours in London! With your Hop-On Hop-Off tickets you can pick and choose all the sights and attractions you want to see, while you get transported around in an iconic open red London bus. There's four bus lines and over 90 stops. Visit one of northern Europe's largest churches - St. Paul's Cathedral. Learn about its fascinating history and climb to the top of the famous dome and enjoy the view over London. Buy your tickets to Legoland Windsor Resort near London here. Visit the tallest skyscraper in Western Europe - the Shard. The view from The Shard will take your breath away! From the top, you can see most of London’s landmarks, including The Tower of London and London Eye. Get behind the scenes at Arsenal Football Club's home, Emirates Stadium, on this self-guided audio tour and find out what goes on before a match. Find yourself in the changing room and walk down the tunnel that leads to the field and imagine the roar from 60,000 fans! The tour of Stamford Bridge, home to Chelsea FC, takes to behind the scenes to one of the world's best football teams and gives to access to areas normally reserved for the players and officials. You also get access to the Chelsea FC Museum. Motown the Musical tells the story behind the legendary record label that changed music history. 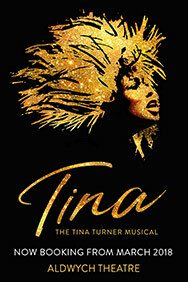 The musical includes 50 Motown tracks such as “My Girl”, “Dancing In The Street” and “Ain’t No Mountain High Enough”. Visit the beautiful Kensington Palace in the heart of London, a place filled with secret stories. Kensington Palace has been home to many royals from Queen Mary to Princess Diana and has long served as the stage for some of Britain's most sizzling drama. The place is bursting with history and has lots of activities for the whole family!